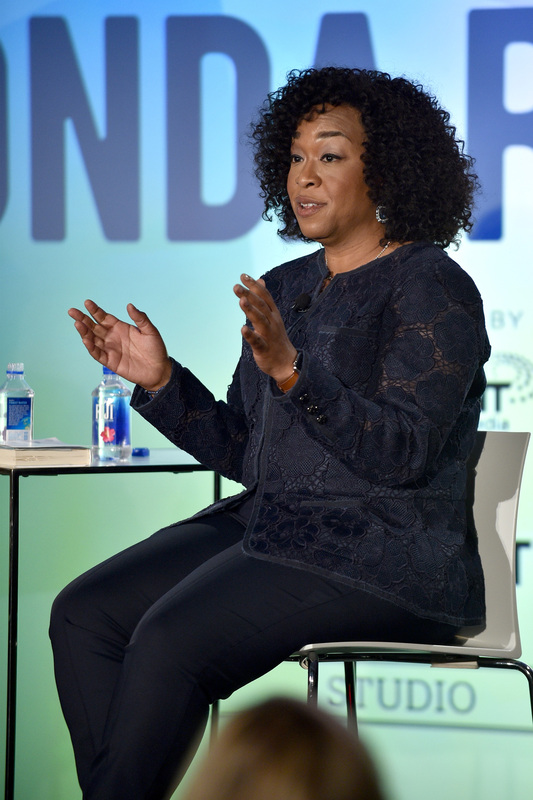 Why Shonda Rhimes Hates The Term "Strong Female Characters"
I get asked this question so much, and it’s like, “How do you create such smart, strong women?” I’m like, "Is the alternative weak, stupid women?" It’s not a goal [to create them]. They’re just people. Women are strong. I literally don’t understand the question when I’m asked. I don’t know how to write people other than being the people that they are, like the women that I know. So, it’s not a goal. It’s just reality. And the feelings Rhimes has about the “strong women” issue are completely founded. She has created some of the most complex and well-rounded female characters ever on television. In a world where many women (especially women over 25) are relegated to bit parts filled with stereotypes and caricatures, it’s nice that we can count on Rhimes for deeply flawed, realistic characters like Meredith Grey, Annalise Keating, and Olivia Pope. Rhimes has proven again and again that women can be strong, but also weak, violent, angelic, vulnerable, outspoken, quiet, and, ultimately, human. They're not defined by just one characteristic. This is especially important because the "strong female character" is a stereotype of its own. Frankly, I think it’s refreshing for a showrunner like Rhimes to say this so candidly. She seems to have an “if you build it, they will come” sort of attitude, and the fact that Rhimes is creating characters simply based on the women she knows rather than based on a quota or Hollywood archetype is not only great for women, but for people in general. The closer we get to reflecting the wide representation of humans on earth onto the screen, the better off society will be. Rhimes doesn’t like the term “strong female characters” because it suggests that there is an alternative. It suggests that, by nature, women are not smart or strong. But, as Rhimes, Wilson Hunt, me, and the women cheering in the Vulture audience know, that is not nearly the case.